Despite new federal protections for two Barton Springs salamanders, a habitat agreement has been reached that will keep Barton Springs Pool open. 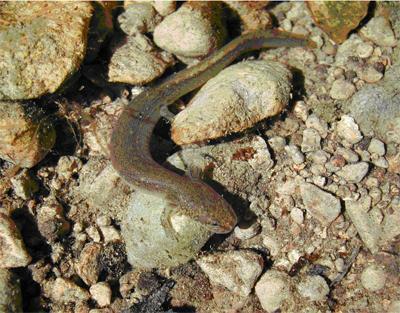 Swimmers and salamanders can continue their peaceful coexistence at Barton Springs Pool. The U.S. Fish and Wildlife Service is granting the City of Austin a new 20-year permit, keeping the pool open to the public while protecting the habitats of both the Barton Springs Salamander and the Austin Blind Salamander. The announcement comes as the city’s previous 15-year habitat agreement was set to expire, and shortly after both species received federal Endangered Species Act protection. Chris Herrington is one of the Watershed Protection employees who worked to reach this day. You can read the federal Fish and Wildlife permit here. The city plans a celebration of the agreement at Barton Springs Pool in the month of October. So writes geographer and futurist Joel Kotkin for Forbes Magazine. 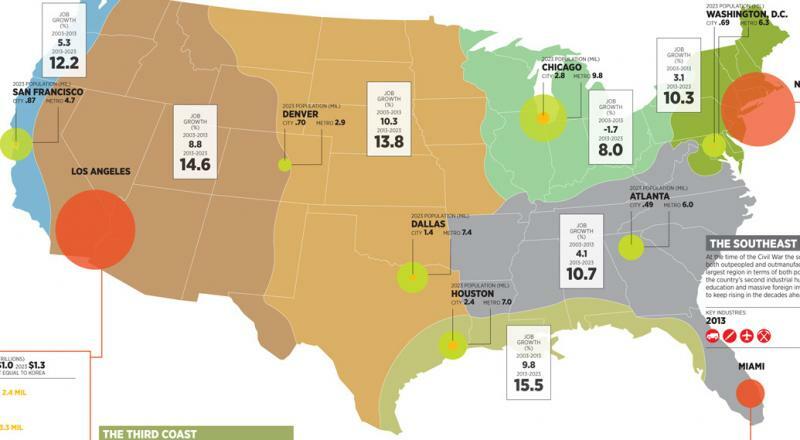 In his new map of America’s future, entitled America’s Next Decade, Kotkin sees not only the outlines of a remarkably robust nation running from south Texas to western Florida, but also the emergence of Americas next major "global city" - right here in Texas.